Karen Mirza and Brad Butler, “Act 00136,” 2009. Neon sign, 31-1/2 x 51-3/16 inches. Courtesy waterside contemporary, London and Galeri NON, Istanbul. The Walker Art Center presents The Museum of Non Participation: The New Deal from April 18 through July 14, 2013, the first U.S. presentation of an ongoing project by London-based artists Karen Mirza and Brad Butler that has traveled to Canada, Egypt, Pakistan, Germany and the United Kingdom. In 2007, Mirza and Butler found themselves inside Islamabad’s National Gallery, watching as mass protests by the Pakistani Lawyers’ Movement—and subsequent violence from government authorities—unfolded outside. For them, this experience became a dramatic example of the challenges that artists and museums face in reconciling aesthetic practices with contemporary social realities and political conditions. 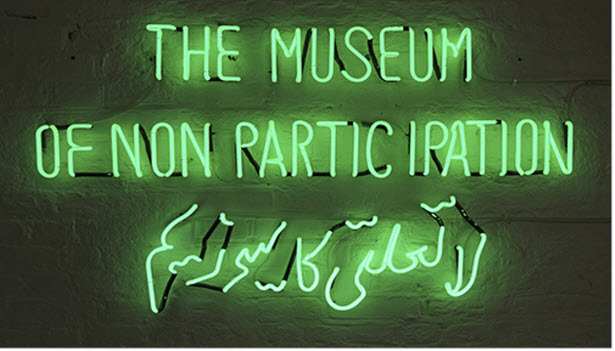 In response, the duo developed The Museum of Non Participation, a roaming expansive collection of audio-visual works, workshops, presentations, and other activities. This April, Mirza and Butler transform the Walker’s Medtronic Gallery into a multilayered installation and evolving social space that situates “non participation” at the crux of the shifting allegiances, contracts, and “new deals” between nation states and their citizens. A selection of film and video works drawn from the fictional museum’s collection highlights the precarious nature of these relationships as witnessed through significant global events. Hold Your Ground (2012) intersperses documentary footage of demonstrations during the Arab Spring and Occupy London, amongst others, with the choreographed actions of a performer who both attempts to teach and struggles to speak. Direct Speech Acts, Act 00157 (2011) offers overlapping testimonies or “speech acts” from an actor, artist, and writer to reflect on the relationships between political speech and action. In The Exception and the Rule (2009), portraits of daily lives and public spaces in contemporary India, Pakistan and the United Kingdom reveal the continued entanglements of Empire. Mirza and Butler debut two new works, the wall-based installation The New Deal and the opening-night performance, The Exception and the Rule. The former draws on the Walker’s history and collection to construct tensions between policies of the New Deal era and the United States’ role in envisioning the governing structures of Iraq during the ongoing occupation. The latter engages members of the Twin Cities community to interpret Bertolt Brecht’s 1929 tale of corruption, exploitation and injustice—drawing compelling parallels to today’s culture. A series of short commissioned texts by Minneapolis-based and international contributors, published on the Walker’s website through the exhibition’s run, offer different constructions, interpretations, and definitions of non participation. The Museum of Non Participation: The New Deal is curated by Yesomi Umolu, with Susannah Bielak of the Walker Art Center. Karen Mirza and Brad Butler have worked together since 1998 with earlier works emerging from their interest in seminal avant-garde film. In 2004, they formed no.w.here, an artist-run organization that combines film production and critical dialogue on contemporary image making. 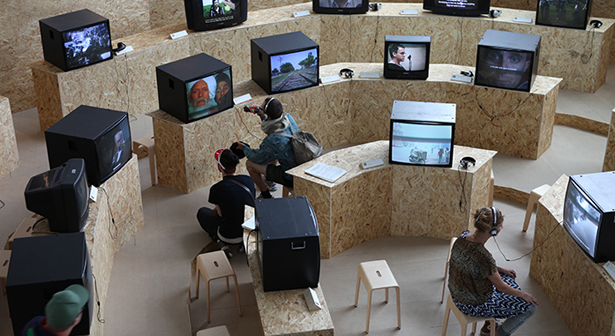 The Museum of Non Participation was an Artangel project in 2009 and featured in The Museum Show at the Arnolfini, Bristol in 2011. Mirza and Butler’s work was recently shown at the Serpentine Gallery (London), Witte de With (Rotterdam), Kunstverein Medienturm (Graz), as well as in Transport for London’s Art on the Underground program. They were nominees for the 2012 Jarman Award. Mirza and Butler’s political alignment directly informs not only the content of their work but their collective approach to production. The exhibition is made possible by generous support from Robert and Rebecca Pohlad. Yevgeniy Fiks was born in Moscow in 1972 and has been living and working in New York since 1994. Fiks has produced many projects on the subject of the post-Soviet dialogue in the West, among them: “Ayn Rand in Illustration,” a series of drawings pairing descriptive text from Atlas Shrugged with uncannily complimentary Soviet Socialist Realism classic artworks; “Lenin for Your Library?” in which he mailed V.I. Lenin’s text “Imperialism: The Highest Stage of Capitalism” to one hundred global corporations as a donation for their corporate libraries; “Communist Party USA,” a series of portraits of current members of the Communist Party USA, painted from life in the Party’s national headquarters in New York City; and “A Communist Guide to New York City,” a series of photographs of buildings and public places in New York City that are connected to the history of the American Communist movement. Fiks’ work has been shown internationally. This includes exhibitions in the United States at Winkleman and Postmasters galleries (both in New York), Mass MoCA, and the Philadelphia Museum of Modern Art; the Moscow Museum of Modern Art and Marat Guelman Gallery in Moscow; Sala de Arte Público Siqueiros in Mexico City, and the Museu Colecção Berardo in Lisbon. His work has been included in the Moscow Biennale of Contemporary Art (2011, 2009, 2007 and 2005), Biennale of Sydney (2008) and Thessaloniki Biennale of Contemporary Art (2007). 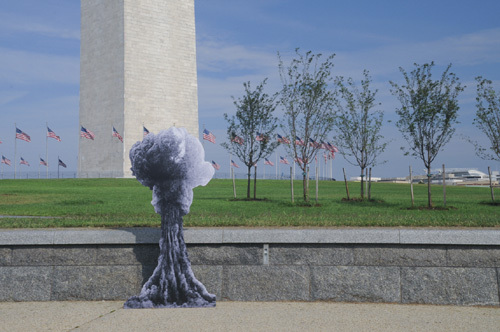 Yevgeniy Fiks, Joe-1 Cruising in Washington, DC (Monument Grounds), 2012, photograph. Yevgeniy Fiks’ newest book — Moscow (Ugly Duckling Presse, Brooklyn, 2013) — documents gay cruising sites in Soviet Moscow, from the early 1920s to the USSR’s dissolution in the early 1990s. 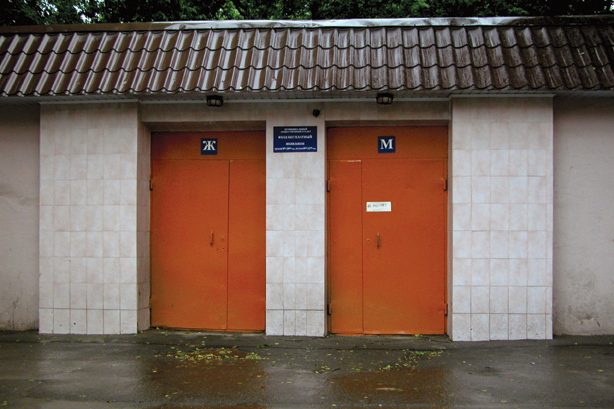 Photographed in 2008 in a simple but haunting documentary style, these sites of the bygone queer underground present a hidden and forgotten Moscow, with a particular focus on Revolutionary Communist sites appropriated by queer Muscovites. The book concludes with the first English-language publication of a 1934 letter to Joseph Stalin in which British communist Harry Whyte presents a Marxist defense of homosexuality in light of its recriminalization in the USSR.